Accredited Courses: Worth the Money? Following on from another successful enrolment last Saturday we’d firstly like to give a very warm welcome all of our new students. One of your first tasks across all skill stages will be to study an artist of your choice. We’ve previously talked about the importance of getting students to do this exercise, as a way of gaining inspiration and knowledge which can help in fuelling your own understanding, personal development and creativity. Feel free to read more about the importance of this task and how to go about researching artists and designers for your textiles course. Remember that you can choose to research any artist you like as long as you can access their work, and with this in mind we thought we’d tell you about some of the fantastic art exhibitions happening around the country over the next few months. This is a major new series of large textiles and other works that considers cultural heritage, and refugee displacement and movement. From the Barberini Tapestries to the Bayeux Tapestry, monumental textiles in the form of large-scale narrative embroideries, weaving and tapestries have been used to illustrate contemporary events to become enduring material chronicles. This exhibition engages with individual migrants and their creativity within the wider context of the global refugee crisis. 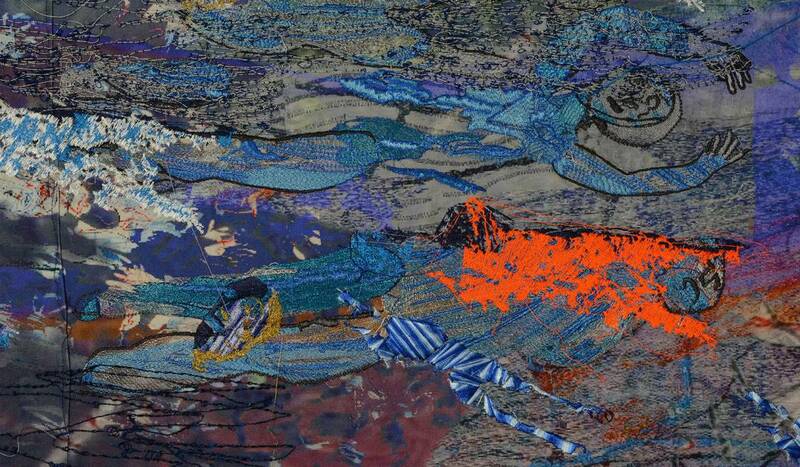 Alice Kettle is a highly regarded contemporary artist focused upon stitched textiles, a powerful medium through which to explore these themes. Thread Bearing Witness represents displacement though the migration of stitches, using the three strands of artistic representation, participation and creative resilience, testing ways of belonging within a cultural space, and using textile as a medium of integration, collective expression and resilience to displacement. Drawing on the Whitworth’s extensive collection, this exhibition focuses on how imperial attitudes to people are reflected in wallpaper. The wallpapers in this exhibition were designed in Western Europe (and a few in America) but inspiration for the patterns comes from across the globe. The popularity of wallpaper grew through the 18th to 20th centuries, at the same time as the rapid expansion of the British Empire; the collection spans these three centuries. On display is a mix of commercially available wallpapers as well as wallpapers made by artists. The latest exhibition in The Bowes Museum’s refurbished ceramics gallery showcases the unique work of ceramicist Charlotte Hodes. Charlotte Hodes is a British artist renowned for her large intricate papercuts and ornate ceramic vessels. 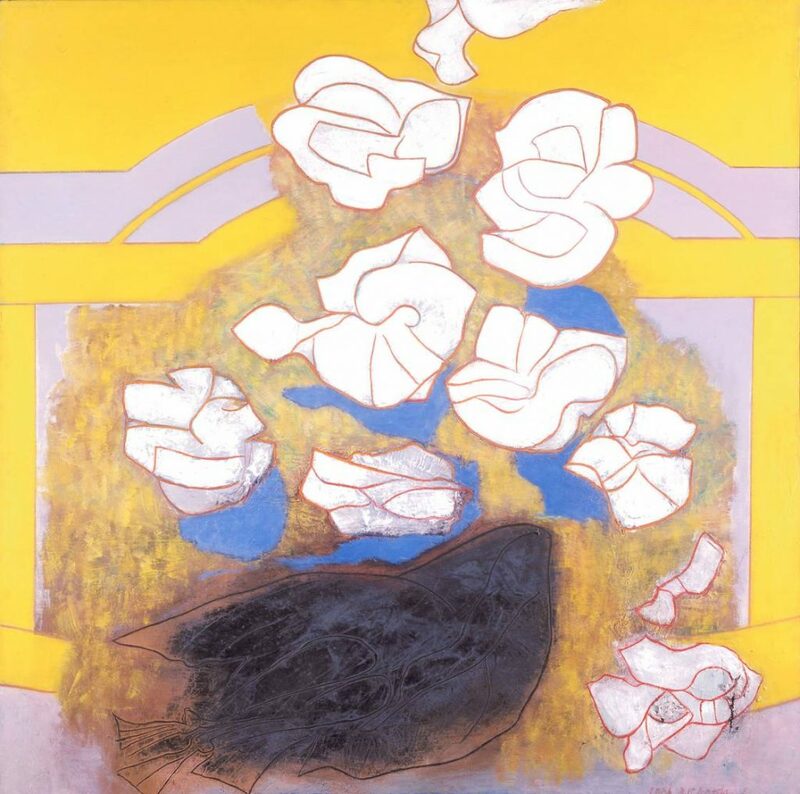 Central to her work is the exploration of the female figure and its relationship to decoration and pattern. Using standard vessel forms and everyday tableware, which she treats as her ‘canvas’, she builds up rich and complex surfaces through a direct process of drawing and collage. This exhibition presents work from the last decade, from Hodes’ time at the Spode factory and the Wallace Collection up to the present day, and includes vases as well as examples of her tableware. Discover the watercolours of Emma Tennant in this exhibition of botanical subjects from all over Britain. 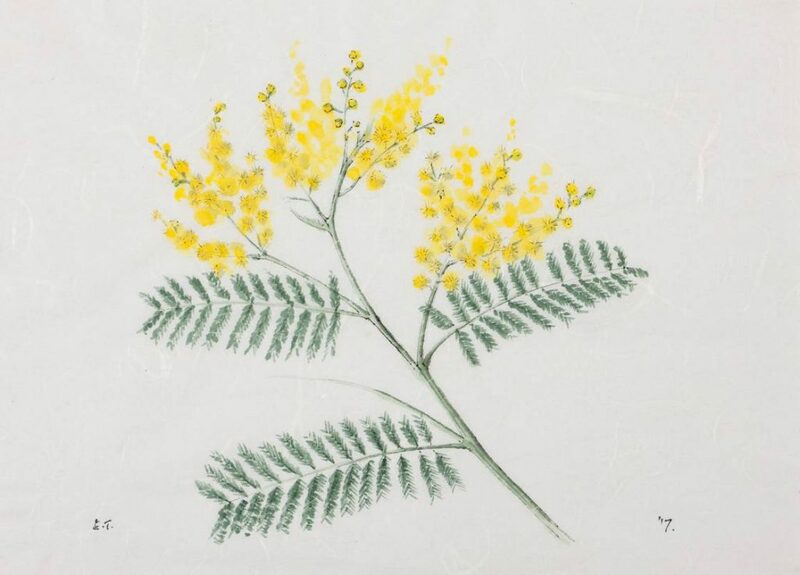 As a keen botanist, Emma Tennant displays her paintings alongside notes delving into the history of her subjects, paying tribute to the famous plant hunters and explorers of the past. The artist John Nash said that he travelled furthest when he stayed at home, and this collection shows it is possible to grow plants from many parts of the world in our benign climate. The exhibition of 50 paintings includes narcissus and Clianthus punicea from the Scillies, mimosa from the Isle of Wight, sea kale from Norfolk, quinces from Suffolk, Magnolia campbellii from Lismore in Ireland, artichokes from North Wales, a wild waterlily from Sutherland and grapes from the famous vinery at Chatsworth, as well as plants both rare and familiar from Tennant’s own garden in southern Scotland. All works are watercolour and ink on either an off-white Nepalese paper, or a Japanese kind made from the bark of a tree called Broussonetia papyrifera. Both absorb pigment, which makes it possible to achieve great depth of colour. 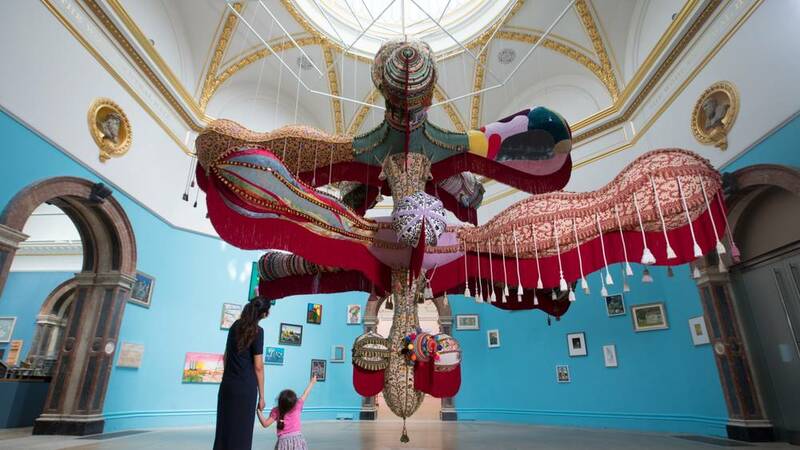 British-Nigerian artist Yinka Shonibare MBE chooses eye-popping art from the Arts Council Collection including, film, fashion, ceramics and sculpture. From a sequined dress by Alexander McQueen to 19th-century wallpaper by William Morris, Yinka Shonibare’s selection tells a story of objects that refuse to be confined. This exhibition challenges the idea that ornamentation is a crime and instead embraces colour, ornament and pattern as means of social and political expression. There are 100 works by more than 50 artists including Andy Goldsworthy, Sarah Lucas, Sonia Boyce, Susan Derges, Mona Hatoum, David Nash, Bridget Riley and Yinka Shonibare himself. 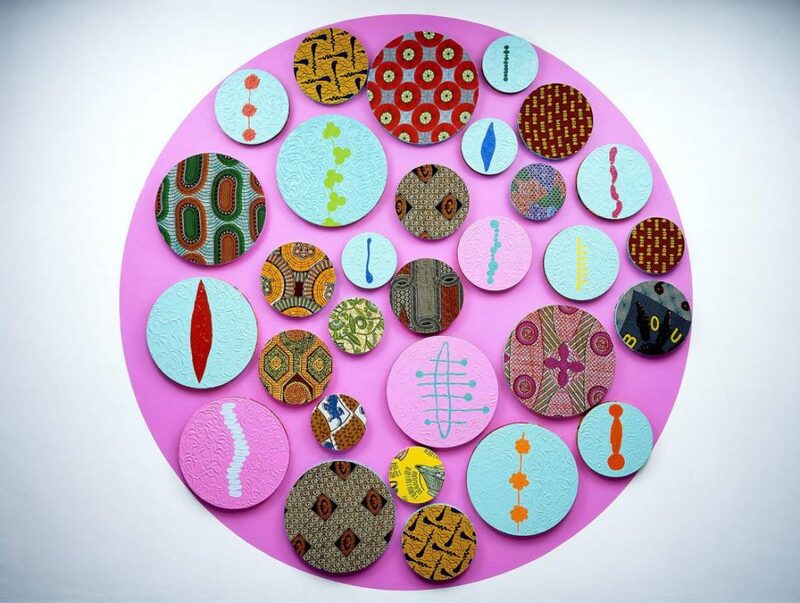 Taking the Arts Council Collection’s rich and varied holdings as his starting point, Shonibare has supplemented his selection with key loans from the V&A, Crafts Council, William Morris Society and from individual artists based across the UK. This exhibition presents a stunning snapshot of the diversity of modern and historic textiles from across Africa. Highlights from Birmingham’s World Cultures, British, Empire and Commonwealth collections reflect the variety of patterns, colours, materials and techniques created, as well as focusing on the personal and provocative stories they can tell. 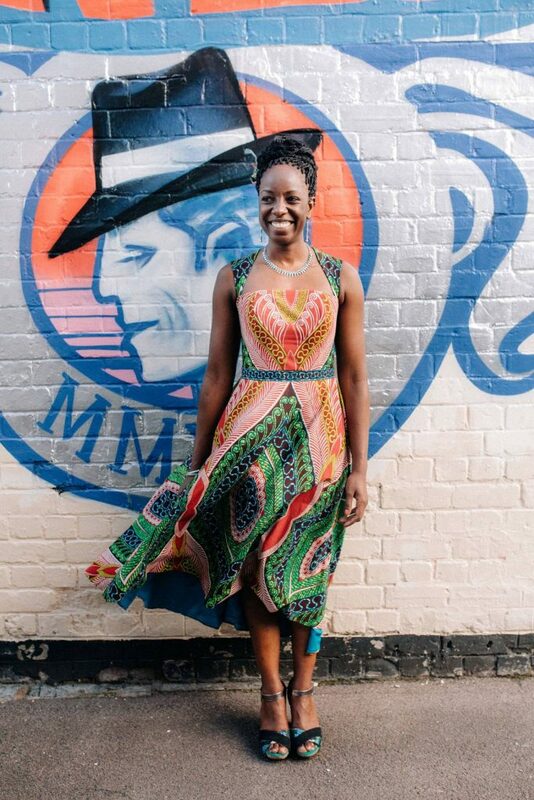 The selection of textiles and clothing dates from the late 1800s to the present day and come from Nigeria, Ghana, Kenya, South Africa, Sudan, Mali and Swaziland among others. From mud cloth to adinkra, barkcloth dresses to kanga cotton prints, ‘royal’ kente cloth to huge embroidered agbadas, this exhibition offers a taste of the amazing ingenuity of the textile artists of Africa and explores the importance of cloth in the social and political lives of those who wear them. This exhibition explores the relationship between poetry and art through two fascinating collections. Dylan Thomas: Music of Colour brings together work from the collections of Glynn Vivian Art Gallery and the Dylan Thomas Centre, to illuminate the relationships and dialogues between poetry and art. Throughout his life, Dylan sought opportunities to work with others and thrived in the artistic communities of Swansea in the 1930s, when the Kardomah Café’s ‘coffee drinkers – poets, painters, and musicians in their beginnings’ included Vernon Watkins, Alfred Janes and Dan Jones. Building on the success of the 250th Summer Exhibition in 2018, coordinated by Grayson Perry RA, our annual celebration of art and creativity continues in 2019. Run without interruption since 1769, the Summer Exhibition is the world’s largest open submission art show and brings together a collage-like display of art in all mediums – prints and paintings, film, photography, sculpture, architectural works and more – by leading artists, Royal Academicians and household names as well as new and emerging talent. This year, acclaimed British painter Jock McFadyen RA will take the mantle from Grayson Perry to coordinate the 251st Summer Exhibition. Looking at artists and designers is a great way of broadening your own creative horizons, but remember that your research shouldn’t stop once you’ve finished this task. Find inspiration in the things around you, keep a scrap book, Pinterest Board or sketch pad to jot ideas into; take photographs, read around, and don’t dismiss anything that can potentially spark an idea. If you manage to get along to exhibition then do drop us a comment to tell us about it. We hope you all have fun on your course and we look forward to seeing the work you produce. Don’t forget the Christian Dior exhibition currently on at the V&A until July. Also The Clothworkers Centre is great to see items up close – you can request to see items from the V&A collection. Good shout Nikki. Thank you very much for the heads up.